Tetsuya Shibata has been the leading figure in Capcom’s sound and music in recent years. As well as scoring titles such as Devil May Cry 3, Monster Hunter, Auto Modellista, and Street Fighter Zero 3, he has recently managed Capcom’s sound team, produced orchestral concerts and box sets, and served as sound director and producer for Resident Evil 5, Dead Rising, and Monster Hunter 3. In this interview, Shibata gives a detailed tour throughout his career. As well as discussing his interview works, he provides valuable insight into cinematic game approaches, technological considerations, and experiences in management. Since leaving Capcom this year, Tetsuya Shibata has established the music production studio Unique Note, which aims to provide music for all media. He discusses the studio’s aims and accomplishments so far, including their recent work on a Japanese musical and Fullmetal Alchemist adaptation. Chris: Tetsuya Shibata, thank you for taking the time to speak to us today. For those who aren’t familiar with you, could you tell us a bit about your background and career? As founder of Unique Note, what do you think uniquely defines you as a musician? Tetsuya Shibata: Hi, Tetsuya Shibata here. I worked for Capcom between 1997 and 2009. My roles at the company were principally as a composer, but I later worked as the manager of the company’s sound team and a sound director for some major titles. Just three months ago, I left Capcom to establish my own company named Unique Note. That was simply because I wanted to try to work on titles created by a wide range of companies, not just the games of Capcom. In fact, I wanted to work on projects within and outside the genre of game music. At Unique Note, I will compose and produce the music for all media. Of course, I also play guitar, bass, and keyboard for the music that I compose as a solo musician. But I think I should be a composer and music producer at first. Chris: Apparently, you studied law rather than music at university. 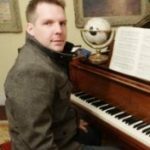 What resulted in your decision to change to become a game composer instead? Was it challenging to make the transition? Chris: Most of your early years at Capcom were spent composing fighting games. How did you find adapting to this genre on your original roles on Vampire Savior 2 and Vampire Hunter 2? What do you feel you brought to these scores compared to previous composers for the series? Tetsuya Shibata: Those Darkstalker games were mostly targeted for Arcade machines. There were so many limitations to compose the music for them. Because of the specifications of the specific machines, we were especially restricted by the absolute number of voices. We also couldn’t get as much memory for each instrument as we estimated. I felt so much stress due to those limitations back then. As a result, I had to adapt to a way of composing that did not use so many voices at first, rather than elaborating upon the genre of the music. Of course, I had to learn the compostion approaches of previous composers in the series and I thought it was really good study for me. 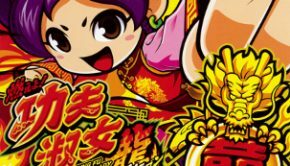 Chris: Marvel vs Capcom 2 and Street Fighter Zero 3 certainly seem to be more experimental and controversial scores than most of their predecessors. Would you agree with this assessment? Looking back, do you think the approaches were the right ones or would you have taken a different direction if you were in charge? Tetsuya Shibata: I agree with your opinion. On Marvel vs Capcom 2, it was free to compose in any genre, so I could easily make a change from previous instalments. As for Street Fighter Zero 3, there were kind of limitations in terms of musical style. The sound director Takayuki Iwai decided the genre, so we needed to compose closely to his vision. Nevertheless, I think his direction was the right one. Of course, if I could decide the genre, I would lead the music to the different direction. I think it is just simply a difference of musicianship. Chris: The soundtracks for the Power Stone series certainly reflected your versatility as a composer. Was this demanded because of stage-focused format of the score in contrast to the character-focused approach of your earlier Capcom scores? Were you already familiar with the styles you incorporated or was there some musical exploration on your part? Tetsuya Shibata: Yes, it was the demanded way of scoring. The game director told me to compose simple melodies while creating stage-focused music. However, I always undergo a period of musical exploration when I start to compose for each title too and tried to reflect some of these discoveries while creating the stage music. The jazzy arrangement at the start of the Power Stone Original Soundtrack was a particular diversion for me! Chris: Heavy Metal: Geomatrix was the first time that the Capcom Sound Team attempted a heavy metal score. How was it to single-handedly compose this project? Were you initially comfortable working in the genre or did it require a lot of exploration? Tetsuya Shibata: On this project, the producer actually maintained a contract with some oversea rock bands. However, I still composed for part of the game. As for the heavy metal genre, I used to play guitar and bass with my own band, and we mainly played that genre. I therefore had a background as a rocker, so it actually didn’t require much exploration. Chris: While your works are well-represented on CD, several of your scores such as Marvel vs Capcom 2, Power Stone 2, and Heavy Metal: Geomatrix have never been released. Given you have worked closely with Suleputer in the past, could you tell us more about the process of album production and what determines whether a score is released? Do you have any regrets these soundtracks didn’t make it to CD? 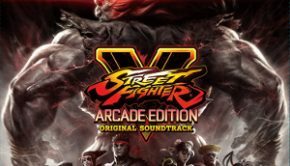 Tetsuya Shibata: While Suleputer tries to release albums for most Capcom titles, there are some reasons for the unreleased soundtracks. First of all, Suleputer basically doesn’t release CDs if the game is based on the licensed characters, such as Marvel and Heavy Metal. It might cost extra budget, so it can be difficult for Capcom to benefit. Power Stone 2 was not released because of the different reason. The total sales of the game was not estimated a huge, so it was risky to actually release a soundtrack. That’s why, but I don’t have any regrets, because the reasons were quite simple. Chris: On Auto Modellista, you crafted a hard-edged rhythmically-focused fusion score. Could you discuss more on why and how you developed this approach? Was it liberating to at last principally work with the PlayStation 2 instead of Arcade machines on this project? Tetsuya Shibata: Since the game was for PlayStation 2, there were no technical limitations while composing compared with for arcade machines. Actually, I wanted to compose with the genres of jazz, club, fusion, or something similar. However, the producer asked me to compose the rock music, and I told him it was too straight to express the experience of racing. Besides, Sony had already taken the genre of rock music centre-stage with the Gran Turismo series. So I decided to blend the two genres — rock and jazz music — to create something unique and fitting. Chris: Following these works, you also created some more more subtle atmospheric themes forResident Evil: Outbreak and Devil May Cry 2. Could you discuss the unique challenges of these projects and how you overcame them? Why do you think more mature projects like these became your main focus in your subsequent years at Capcom? Tetsuya Shibata: When I started working on these projects, I was actually fighting with a producer who came from another company. He was so pushy then, but I told him that the genres of the music I showed him would absolutely match the games. I had no hesitation to tell him my thoughts. And he finally trusted me, and told me to take care of these whole titles as a sound director. From then onwards, he kept on trusting me and I took on new challenges on the games he produced. He is really talented producer, so now I’m having a chance to work with him again despite the fact we have both left Capcom. Chris: On that note, Devil May Cry 3 certainly was an impressive achievement in terms of in-game scoring. What inspired the decision to take an even more minimalistic approach to most of the setting themes on this project? And how did you accomplish the detailed cinematic underscoring on the project? Tetsuya Shibata: I really think that game scores should be composed to be a cohesive whole. This is particularly where a game contains a story and the composer should watch the whole of it. In this regard, there are many parallels with creating film music, but on a larger scale. For example, I composed over 140 scores for Devil May Cry 3, but ensured that the music came together as one. We composers need to understand the core of the game we’re composing, including the story, and then reflect that in the music. Chris: While game music fans generally demand complete soundtracks, I’ve sometimes felt the abundance of subsidiary themes in Capcom soundtracks can be detrimental for stand-alone listening. I guess examples would be the abundance of ending themes on Star Gladiator 2, the numerous cinematic event themes on Devil May Cry 3, or certain themes in the Breath of Fire box set. Given your involvement in such projects, do you have any personal thoughts on this phenomenon? Should soundtracks always be complete or can it be desirable to omit tracks not intended for stand-alone listening? Tetsuya Shibata: Oh, this is difficult question. I think composers should make a choice of what they consider to be their best tracks. Subsequently the company should release both the whole album and the best album. However, it depends on the budget — sometimes it costs much to release two albums. However, most fans of the game or soundtrack collectors demand the full soundtracks. For example, the original soundtracks for the Breath of Fire series featured most of the best music from the games, but fans complained that it didn’t feature all of it. So Capcom decided to include the entire music for the series on the Breath of Fire Original Soundtrack Special Box basically and I was responsible for bringing it all together. Chris: One of the biggest changes in Devil May Cry 3 was the use of heavy metal vocals. What inspired this transition after the instrumental rock and electronic approaches of earlier battle themes in the series? How did you elaborate even further on this approach on Devil May Cry 4? Tetsuya Shibata: I think the power of lyrics and vocals are huge in general. That’s partly why I tried to include vocals for the music of Devil May Cry 3, both in certain battle tracks and the ending themes. In addition, such approaches makes it even easier to tell the theme of the game to the players. On Devil May Cry 4, I wanted to explicitly reflect those themes as well, but also included some new innovations with the operatic opener and some of the classic remixes. Chris: As sound director on Dead Rising, you also oversaw the use of a number of licensed songs. What resulted in the decision to use licensed vocal themes on this project instead of in-house compositions like in Devil May Cry and how did you select the artists? Do you think this approach added to the mainstream appeal of the game and do you anticipate a similar approach on the sequel? Tetsuya Shibata: Actually I was not technically the sound director on Dead Rising. Rather I was kind of sound producer on this title. The sound director asked me to find the way to collaborate with rock bands. So I asked Kikuchi-san who worked for Sony Music Publishing to explore the way forward and eventually we were able to collaborate with their artists. I think this idea matched the image of the game well, so Capcom may want to take the same approach on the sequel. Chris: As senior sound director of Resident Evil 5 and Monster Hunter 3, you also organised material to be recorded by the Hollywood Symphony Orchestra and FILMharmonic Orchestra Prague. What do you think a full orchestra brought to these scores? 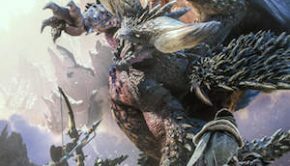 Why did you choose to use orchestras in the West as opposed to stick to Japanese orchestras like the original Monster Hunter? Tetsuya Shibata: I just ensured the atmosphere each orchestra created matched the games. Resident Evil is well known even as a Hollywood film franchise, so I thought it would match Hollywood-styled orchestra well. I wanted have a certain heat to the game’s sound that would match a title as huge and monstrous as Resident Evil. On Monster Hunter 3, I thought the view of the world of this title needed the traditional kind of European taste, not the Hollywood one. On both titles, I didn’t stick to Japanese orchestras simply because of the number of musicians required. There are no huge studios in Japan like Hollywood or even Prague. So I decided to record the orchestra overseas. Chris: On the topic of Monster Hunter, you have had a major role on this series since its debut. As sound director for the series, how did you influence the approach of the music and sound design on each game? What resulted in your decision to only actually compose for the first installment? Tetsuya Shibata: The most important thing was for me to find the direction of the music. I selected the genre for this game so carefully. Of course, I had very frequent discussions with the lead sound designer. Then we made the view of the world on this game step-by-step. Now I think about it, if you want to design the sound or the music for the game, you need to watch not only individual parts of it, but the whole of the game and the sound. It was less important for me to create individual compositions and instead other composers like Masato Kouda usually handled this. The role of “Sound Director” instead made me oversee the whole. Chris: The Monster Hunter series was recently commemorated with a major orchestral concert. Did you have any involvement with this event? Tetsuya Shibata: Yes! I actually planned and produced the show. 2009 was the fifth anniversary year of the hugely successful series, so I wanted to do something huge. As a result, I decided to create an orchestra concert. To ensure the success of the concert, I considered the budget at first, and I promised the company that I would make the concert commercially worthwhile. Of course, the concert should be for the fans, so I made the best effort for the show. This was my last job at Capcom. Chris: While the head of the Capcom Sound Team, it seems that you mainly had managerial responsibilities and little time for compositions. Aside from Devil May Cry 4‘s major themes, did you compose any other pieces during this period? Was this restriction in composing time one of the major reasons you decided to leave Capcom? Tetsuya Shibata: Actually I couldn’t find enough time for composing. I was not going to compose for the Devil May Cry 4, but the director asked me to compose some main themes. So I could found the time only on holidays. Lack of composing time didn’t make me leave Capcom actually. I just wanted to be independent from any companies. Now I can do everything by my own responsibility. Chris: From what I can tell, more and more composers have left Capcom to become freelancers in recent years (you, Yoshino Aoki, Akari Kaida, Shusaku Uchiyama, Masato Kouda, Seiko Kobuchi, etc.). Why do you think this is and how do you think it will affect Capcom? 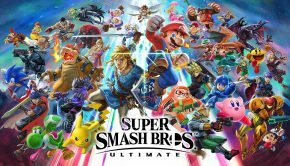 Are there newcomers emerging to fill the shoes of departing members or will Capcom outsource to former employees or external specialists much like Square Enix often does? Tetsuya Shibata: Oh, you know really a lot about the people used to work for Capcom! I think composers want to be independent, and they’ve developed their own skills while they were at Capcom. Of course Capcom hires newcomers who have made good contributions to certain recent scores. In addition, I think the composers who left Capcom are keeping a good relationship with the company. Of course Capcom outsources to former employees sometimes too. Chris: Let’s return back to your music production studio Unique Note. What led to your collaboration with Yoshino Aoki and do you intend to employ more co-composers in the future? Tetsuya Shibata: Although we worked on few projects together, I met Yoshino Aoki at Capcom and gained respect for her works. In particular, I enjoyed her music for Breath of Fire IV while compiling together the series’ box set, but had also grown to appreciate her versatility in general. She had worked as a freelancer for a couple of years before I founded Unique Note, but she agreed that it would be better to work together. As a result, she will keep supporting my projects. However, we are getting busier and busier, so we need to hire more co-composers and the sound designers in the future. Chris: Unique Note has now completed two projects, a Fullmetal Alchemist adaptation for the PSP and the musical Rakuen. Could you tell us more about these projects and your approaches to them? Tetsuya Shibata: On that musical, we could have learned so many things. However, we couldn’t find enough time for composing due to the tight deadline, so we had to compose so rapidly. So Yoshino and I wrote so many vocal songs in a very short time! As for the Fullmetal Alchemist adaptation, I composed mostly for the cinematic part of the game. I stayed true to my general musicianship while adapting to the tone of the franchise. In addition, Yoshino Aoki sang for one of the song that I composed. Chris: Now that Unique Note is making an impact on the industry, let’s discuss the future. Do you have any upcoming projects on the go and any long-term ambitions? Also, is there anything you would like to say to your supporters around the world? Tetsuya Shibata: Yes, we currently have several projects on the go. From now we are going to work for every kind of music — not only for games but for music in any genre. I hope you enjoy the music and we promise that we will keep a good work. Thank you so much! Posted on October 20, 2009 by Chris Greening. Last modified on March 2, 2014.